As there were no subtitles available at all for this film, I took it upon me to make them myself. 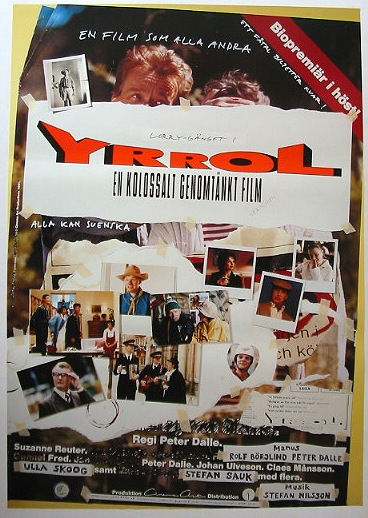 This film is too funny for the Swedes to keep to themselves. I hope the fact that I've spent countless hours making the subtitles for this film will be reason enough to convince you to see it. It starts a bit slow, but once it gets going, it is absolutely hilarious! It's always dangerous to hype comedies too much, but when I was thinking of things to compare it with, the first thing that sprung to mind was Monty Python. So don't try to look for any coherency or storyline. 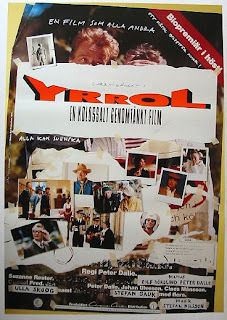 Yrrol is all gibberish. Knee-slapping, side-splitting, tears-of-laughter-inducing gibberish. Fantastic Initiative! Thanks a million!